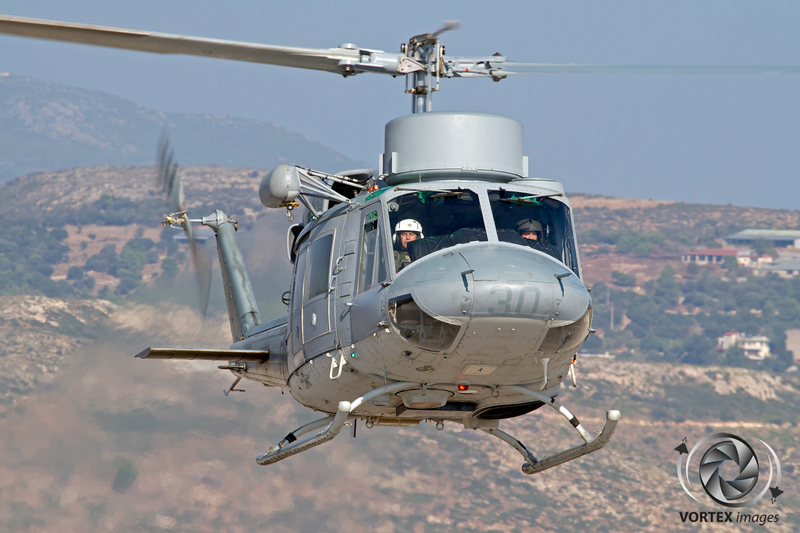 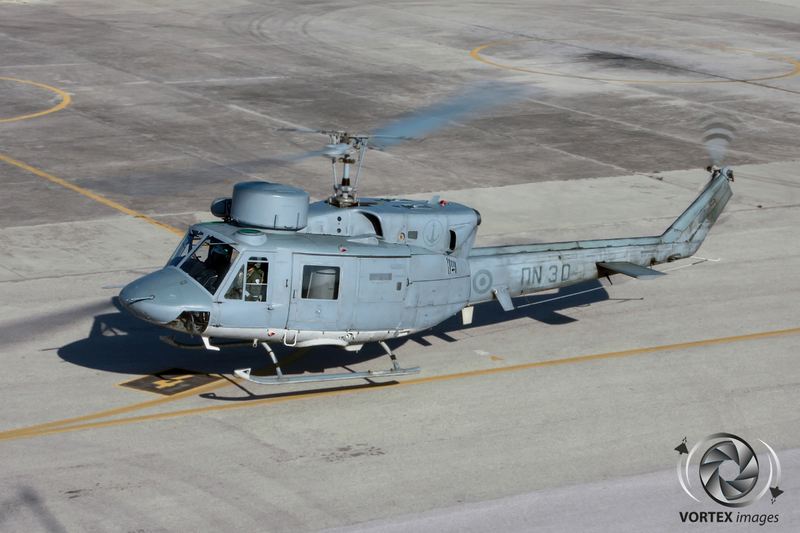 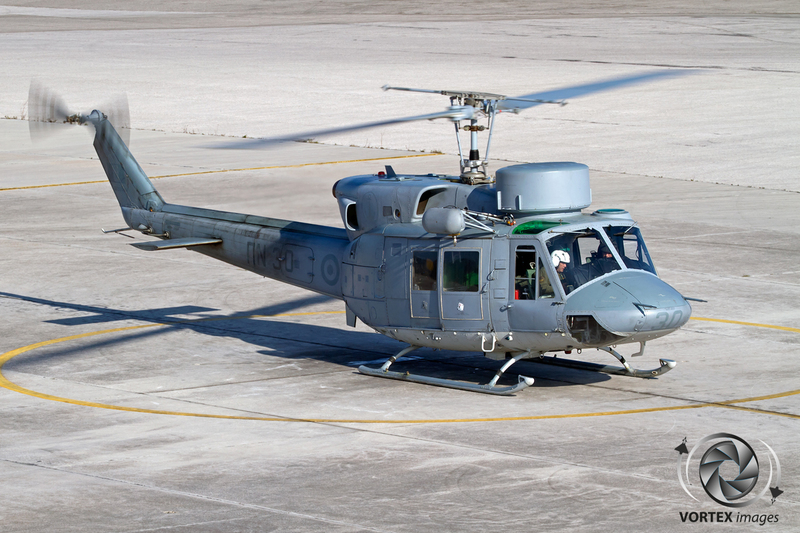 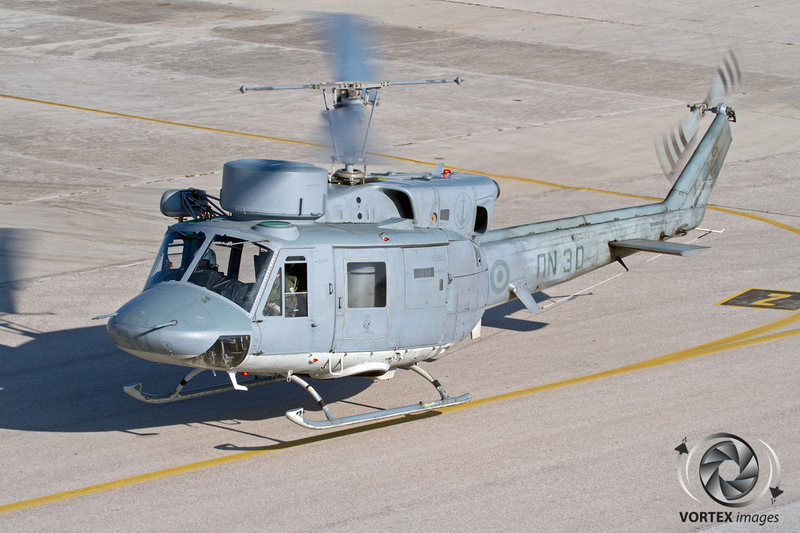 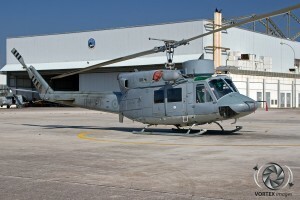 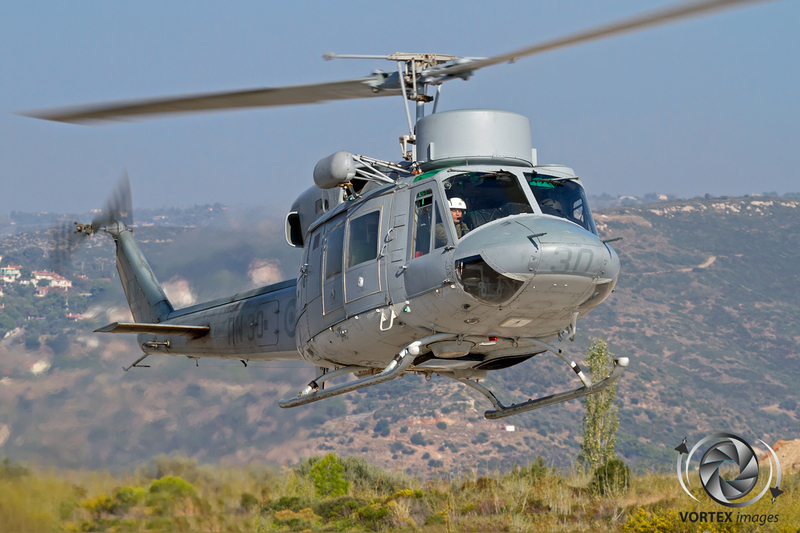 In 1975 the Hellenic Navy started operating helicopters in the form of four Alouette 3’s. 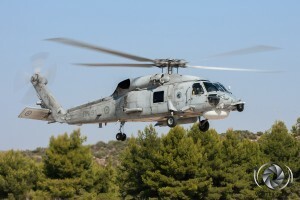 These operations were initially from the Hellinikon Athens International Airport, as this was located close the main base from which the Hellenic Navy conducted their duties. 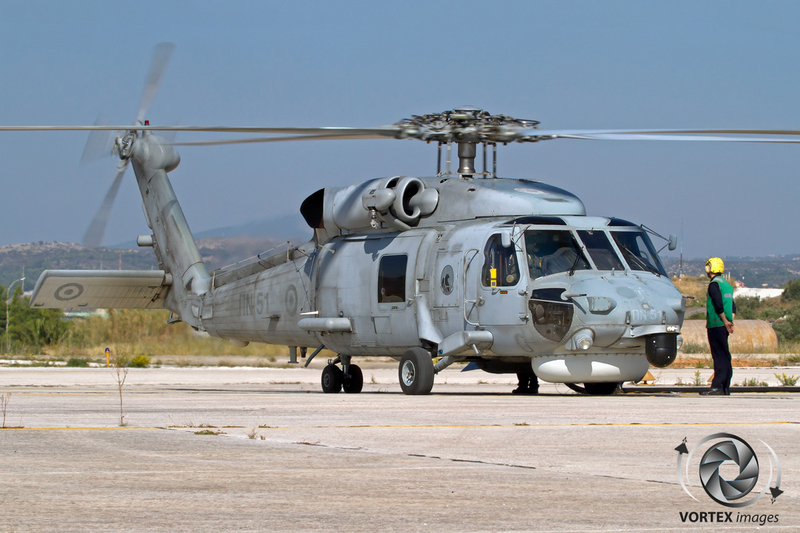 As Athens International Airport wasn’t ideally suited, the Navy started to build their own Naval Air Station near Elefsis. 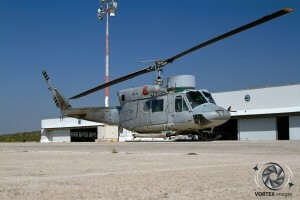 This base was known as Amphouli and was finished in 1977. 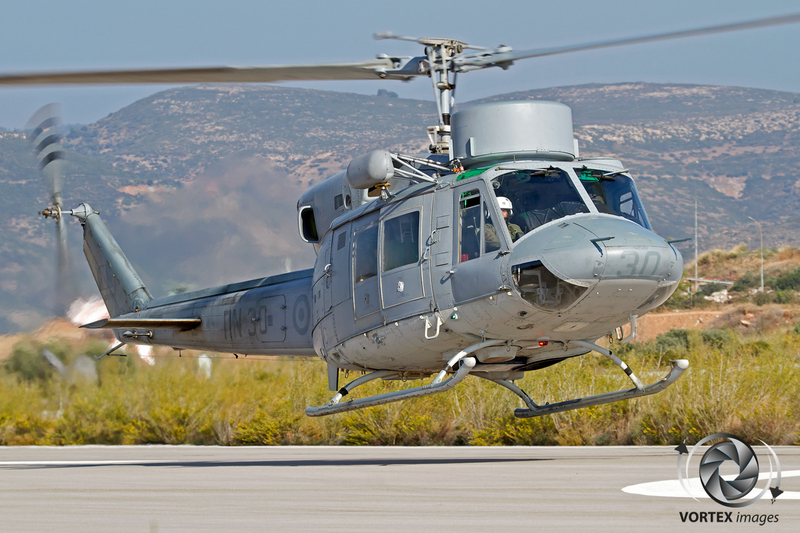 Later, with the arrival of the larger twin engine Agusta Bell 212 in 1979, Amphouli became too small and therefore another new complex was constructed, this time near the historical city of Marathon on top of the mountain Kotroni, from which the base gains its name. 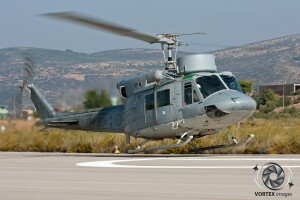 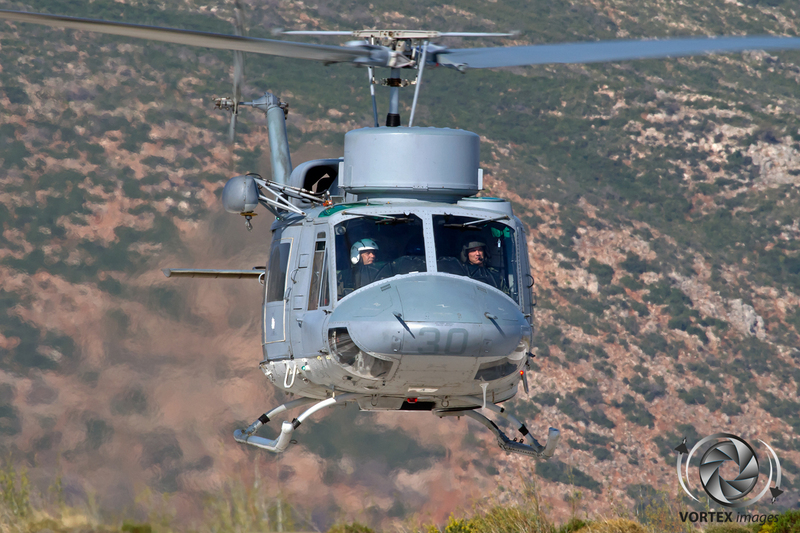 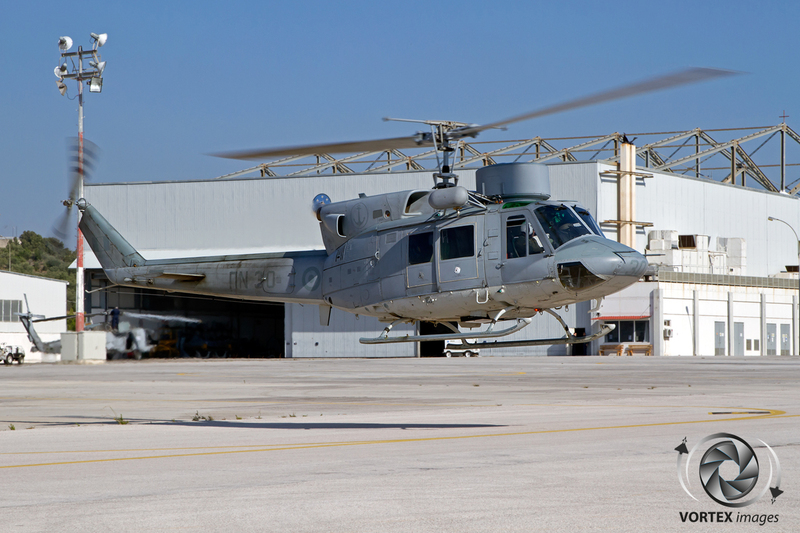 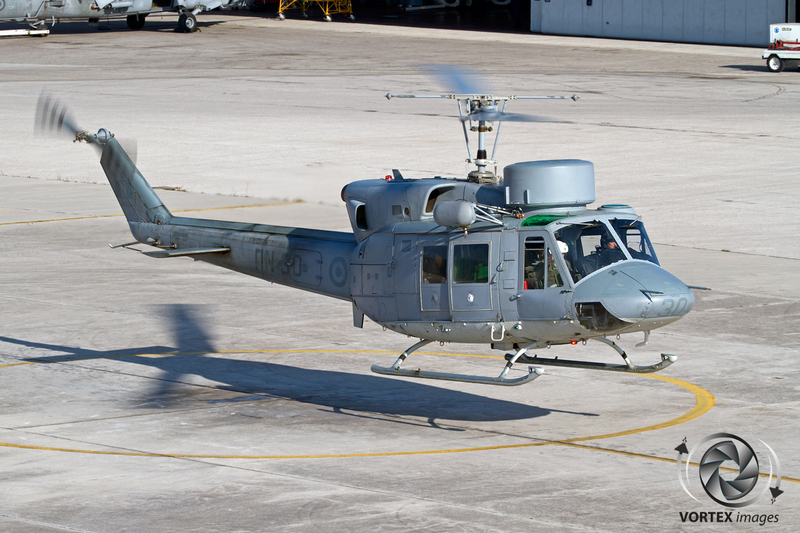 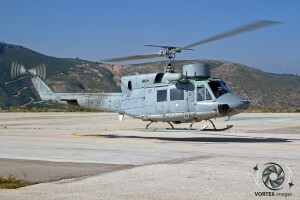 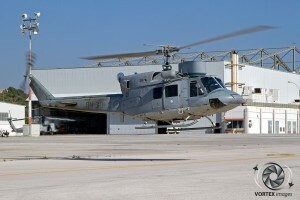 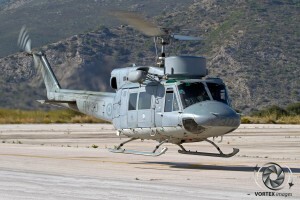 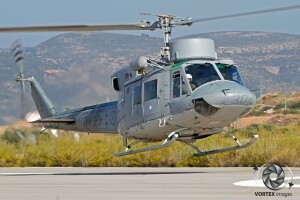 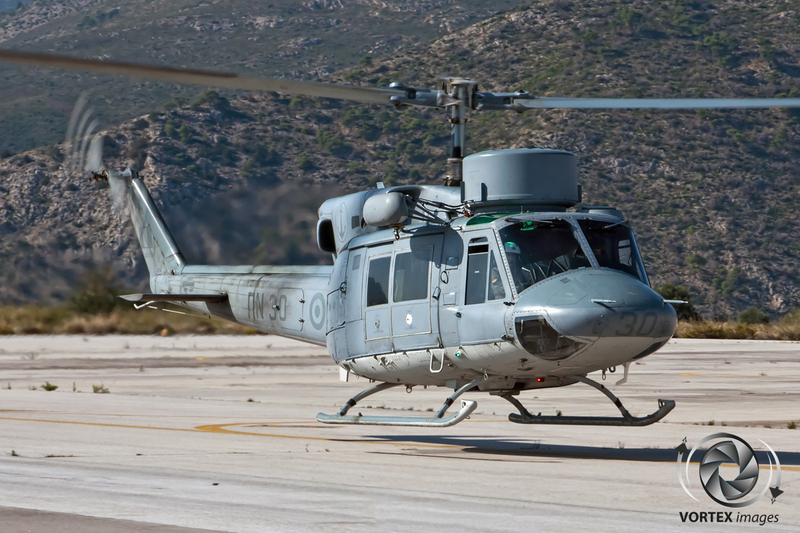 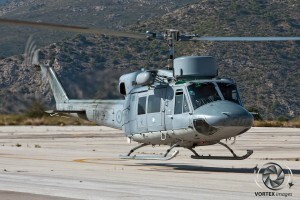 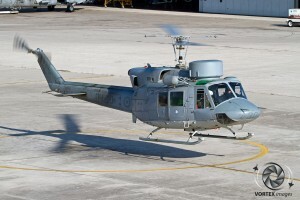 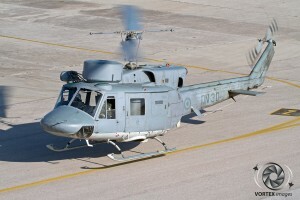 When the AB212 became fully operational, it resulted in the All.3 being pulled from frontline duty to become the training helicopter of the Hellenic Navy. 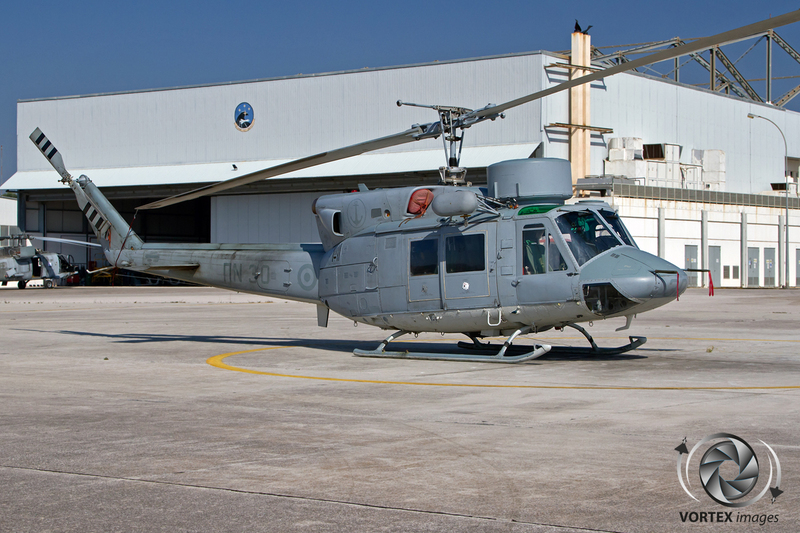 It fulfilled this task until as recently as mid-2014, when the last two remaining All.3s were retired. 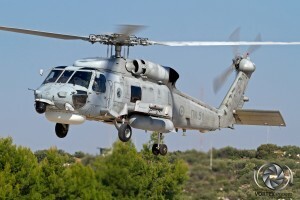 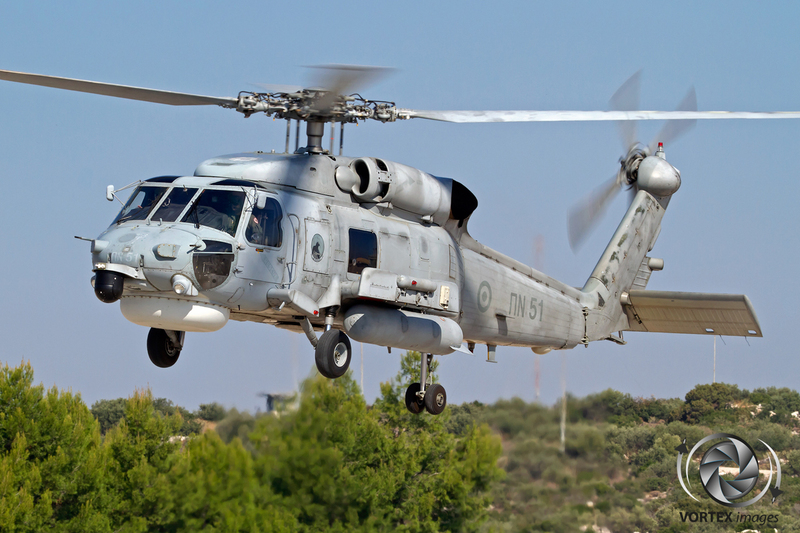 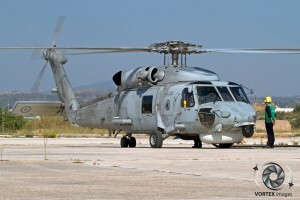 The Navy was further modernized in 1992, with the procurement of the S-70 Seahawk, which is known within the Hellenic Navy as the Aegean Hawk. 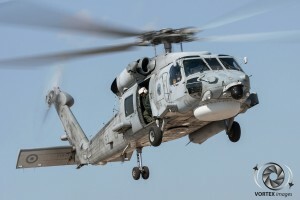 The Navy operates two subversions of the S-70, the S-70B-6 and the S-70B-8. 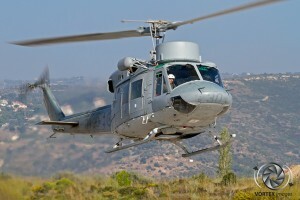 Both have similar capabilities and can be armed with weapons such as the Penguin anti-ship missile and various torpedoes. 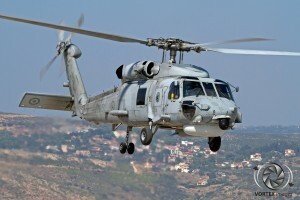 In addition to these weapons, the S-70B-8 can also be fitted with the AGM-114 Hellfire, which is intended for use against smaller boots such as those operated by pirates in Somalia. 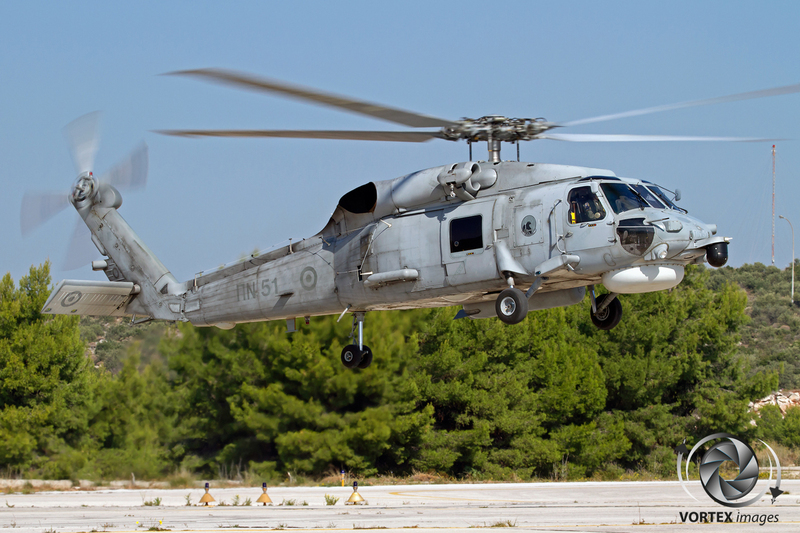 Nowadays the Hellenic Navy only has two types of helicopters in service; the AB212ASW operated by 1MEN, and the S-70B Aegean Hawk by 2MEN. 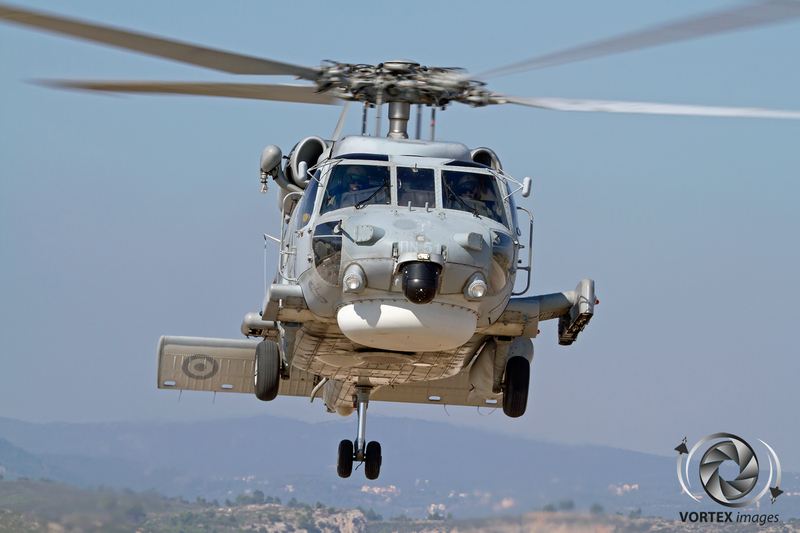 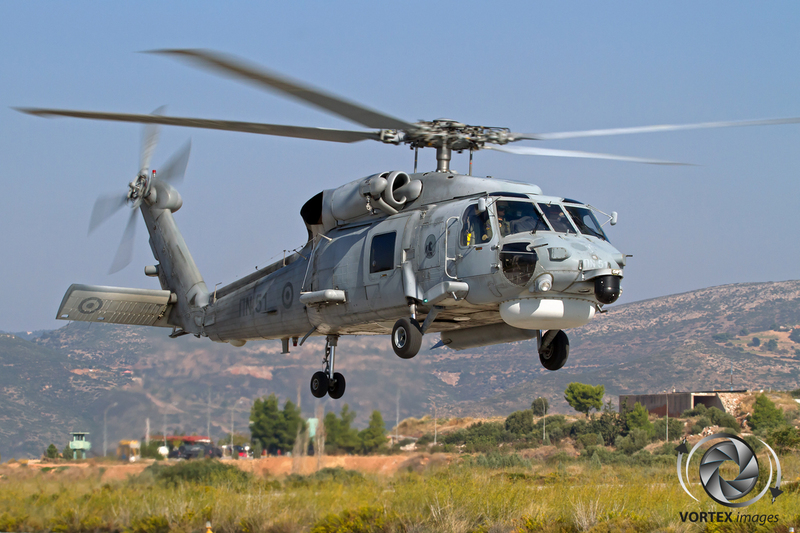 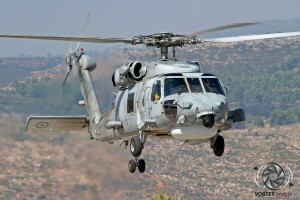 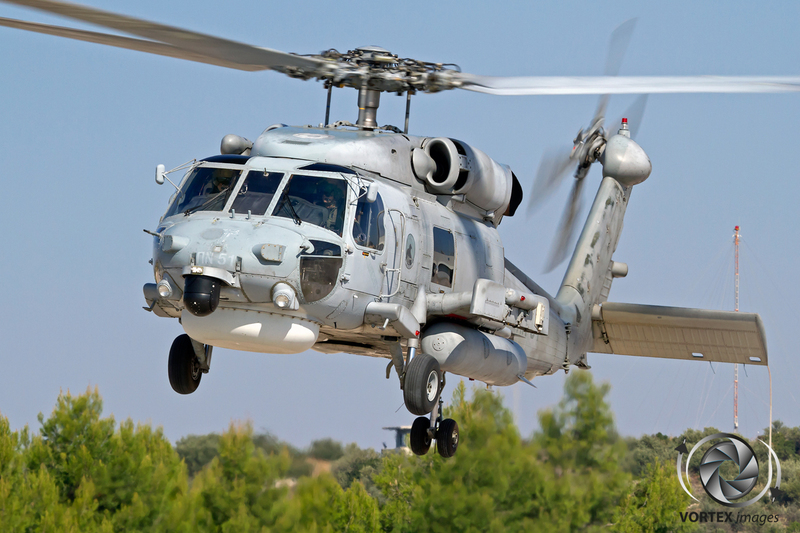 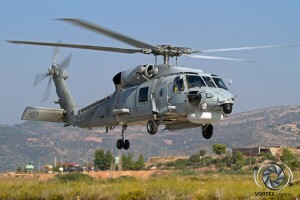 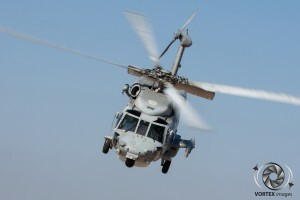 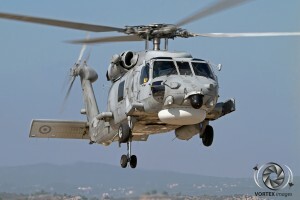 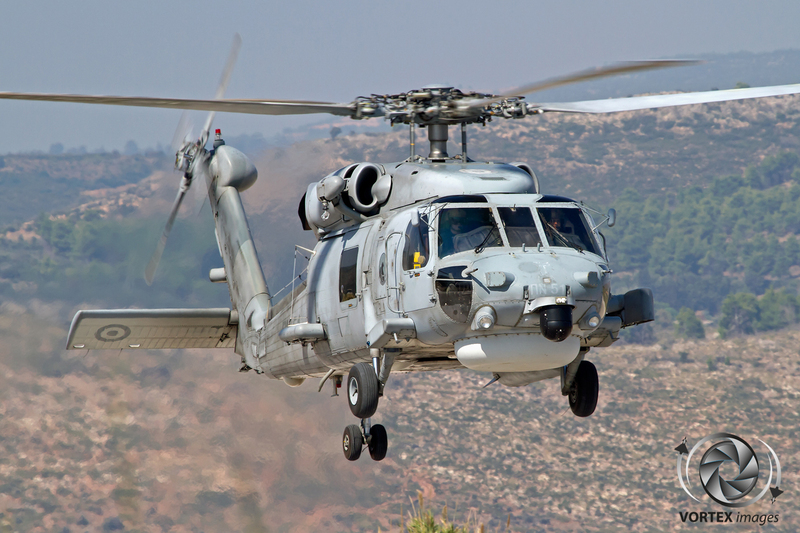 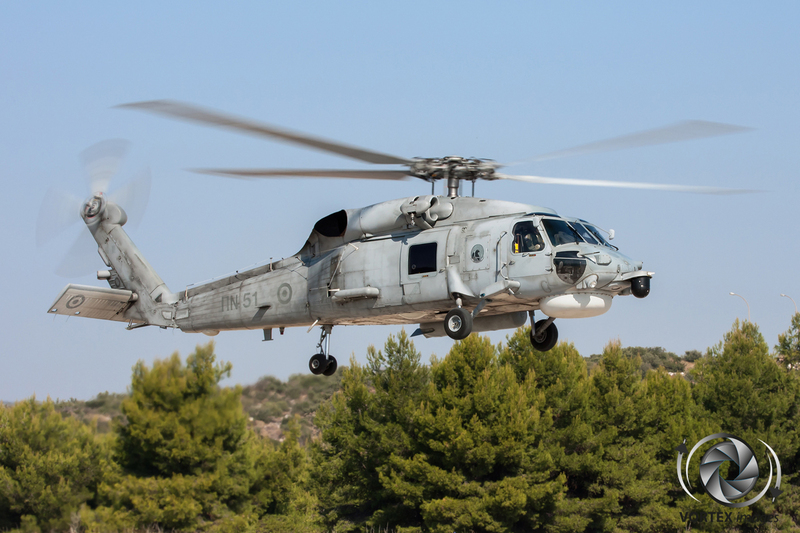 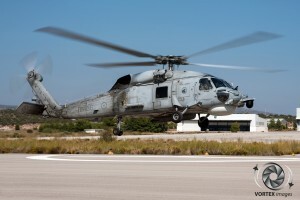 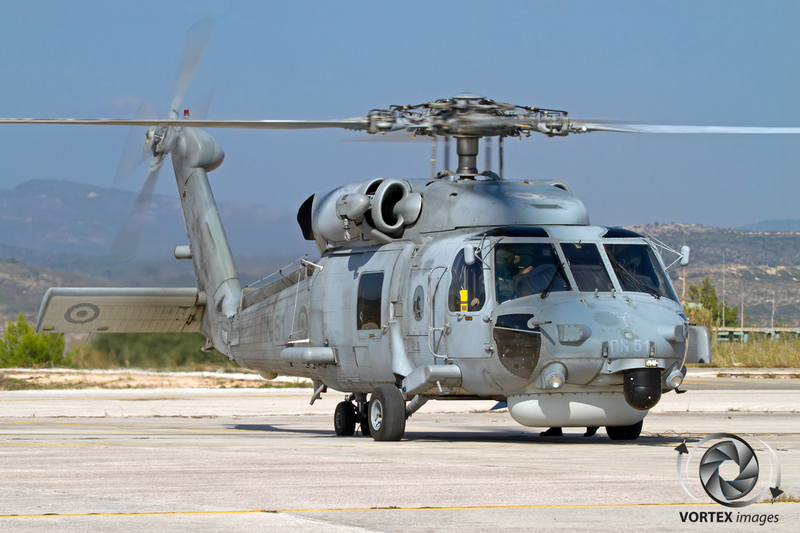 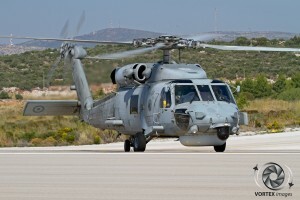 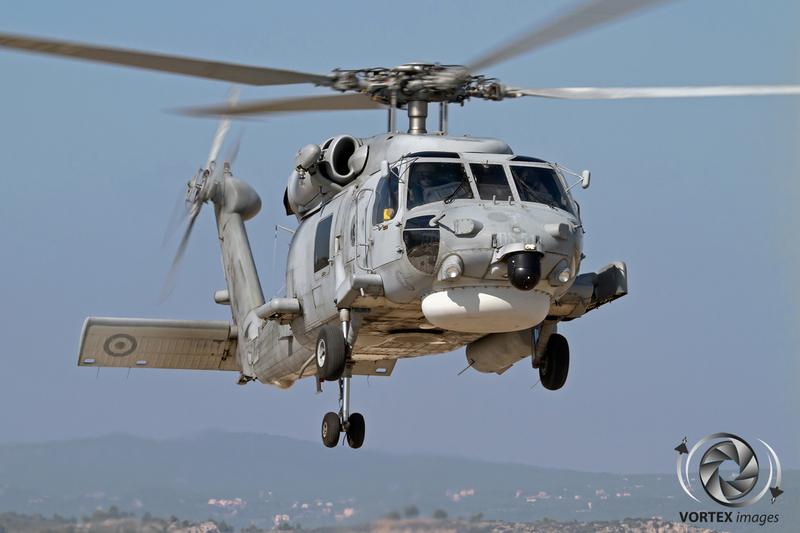 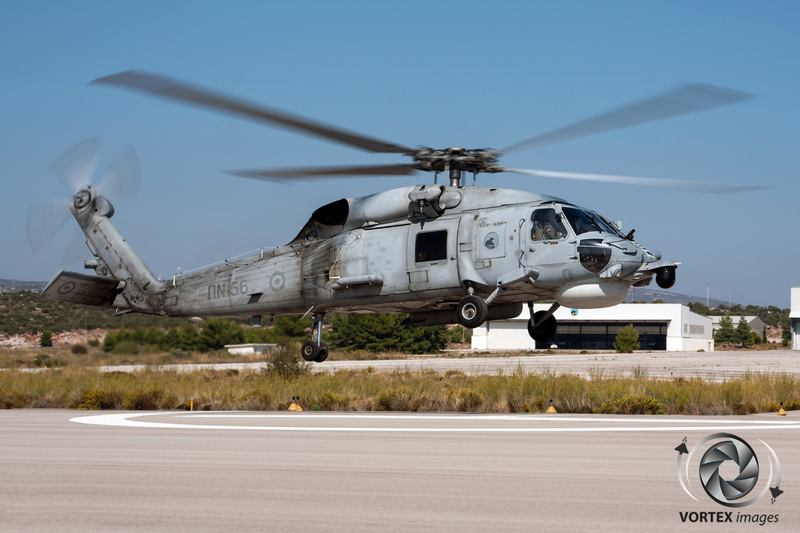 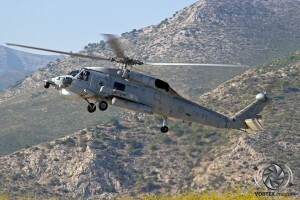 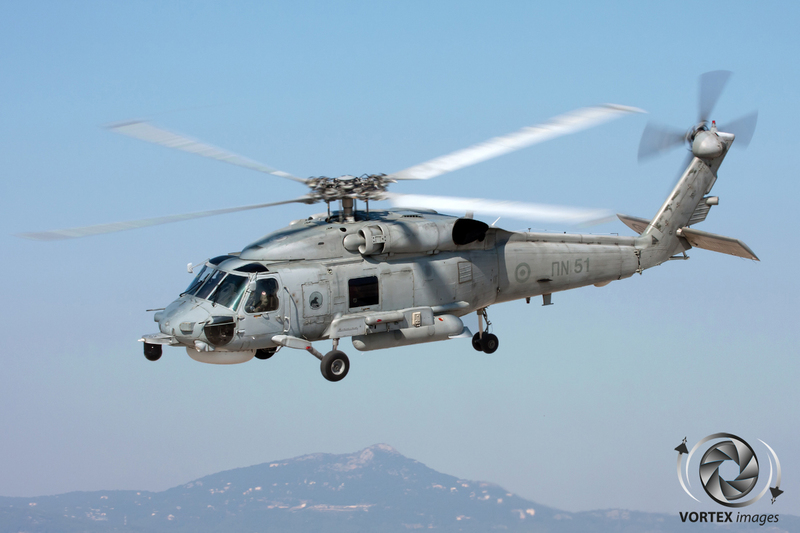 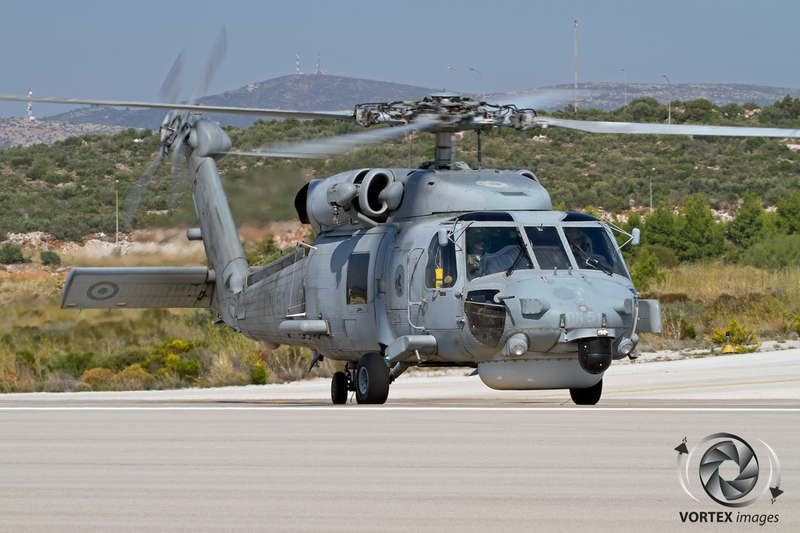 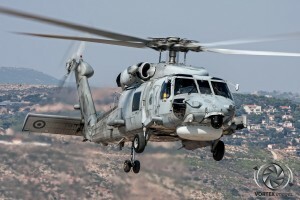 Both helicopters can perform the same tasks such as Anti-Surface Warfare, and in addition the Aegean Hawk also performs Search and Rescue in the Aegean Sea. 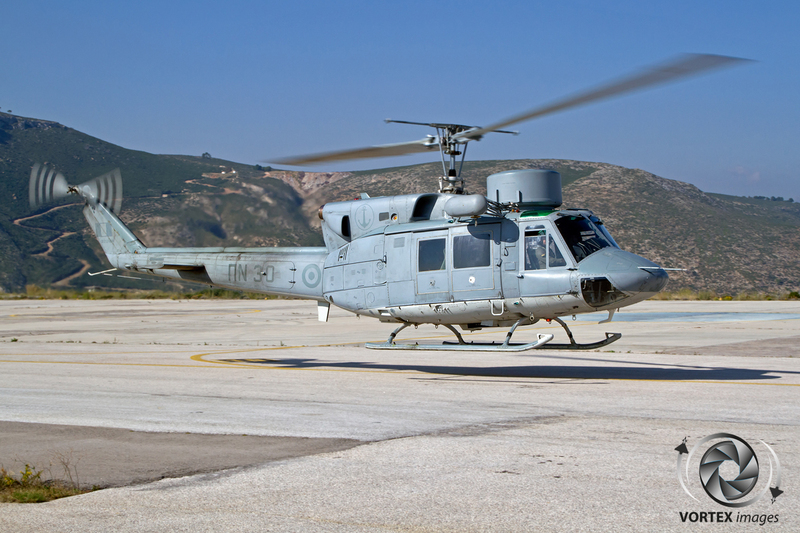 Both squadrons are based at Kotroni, which, even though it can suffer from heavy rain and strong winds due to the nearby mountains, has proven itself as an ideal operating location for the duties that these helicopters perform. 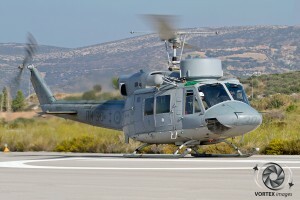 The base is also shared with the Hellenic Coastguard AS.365N Dauphins. 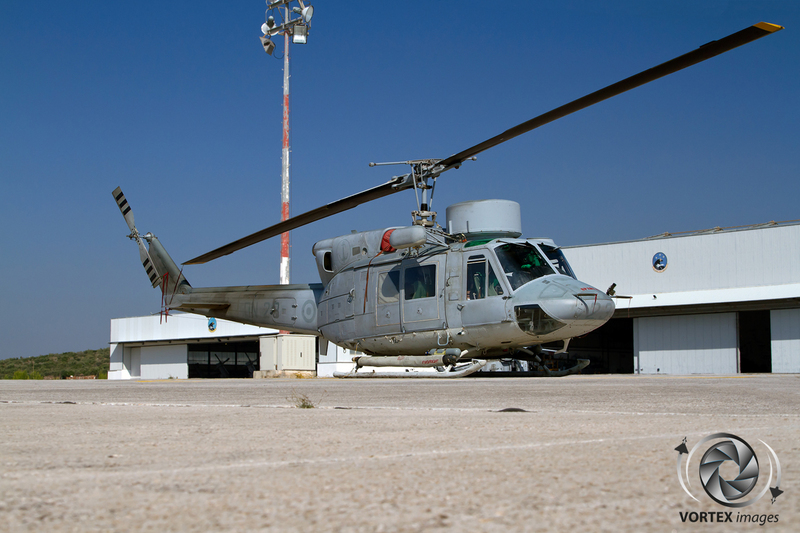 To make sure that the helicopters can perform their duties 24/7, Kotroni makes use of two small runways which are set on different headings. 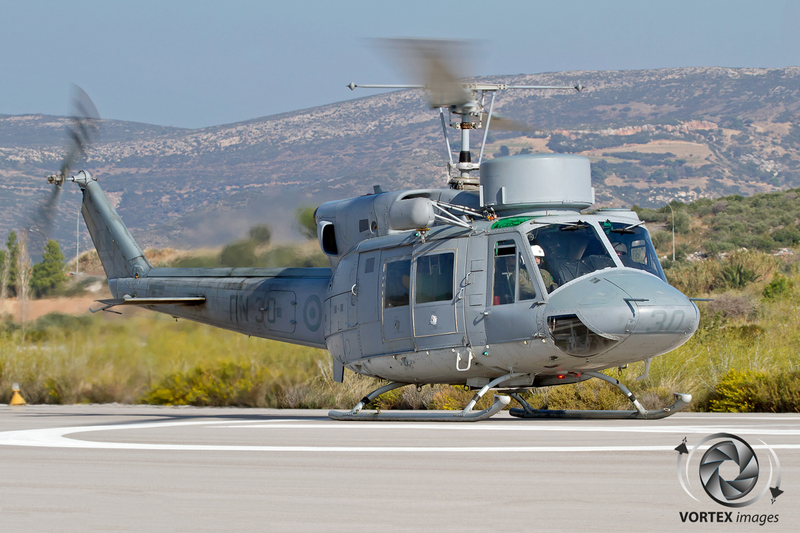 Despite having two runways, Kotroni is still a very compact base, which results in perfect working conditions for its personnel, allowing them to excel in performing their duties for the Hellenic Navy. 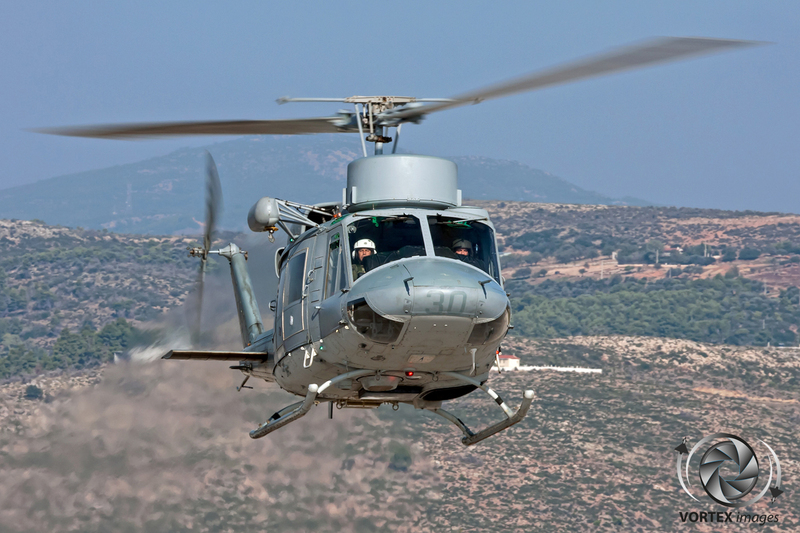 The Hellenic Navy regularly deploys their helicopters to ships for missions such as the EU led Counter-piracy mission Atalanta on the Somali coast. 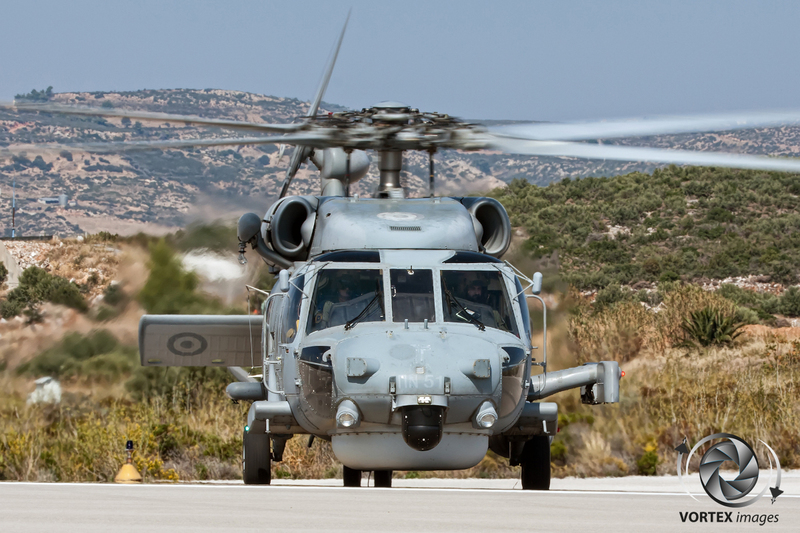 Recent global developments have resulted in a lot of extra work closer to home for the Aegean Hawk crews. 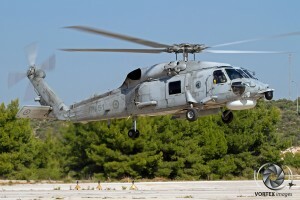 An example is the large number of Syrian refugees trying to cross into the EU along the sea border of Greece. 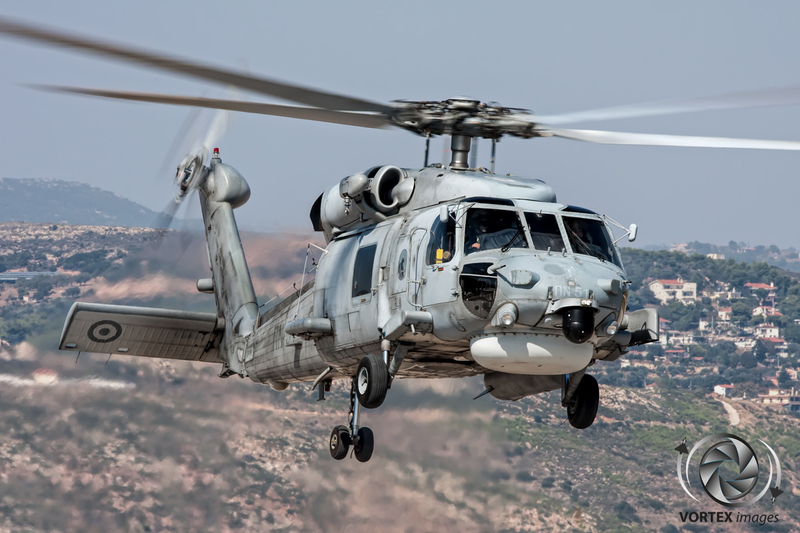 Almost every day thousands of refugees are making this dangerous voyage in self-made boats which they will often sink when they see a ship or helicopter. 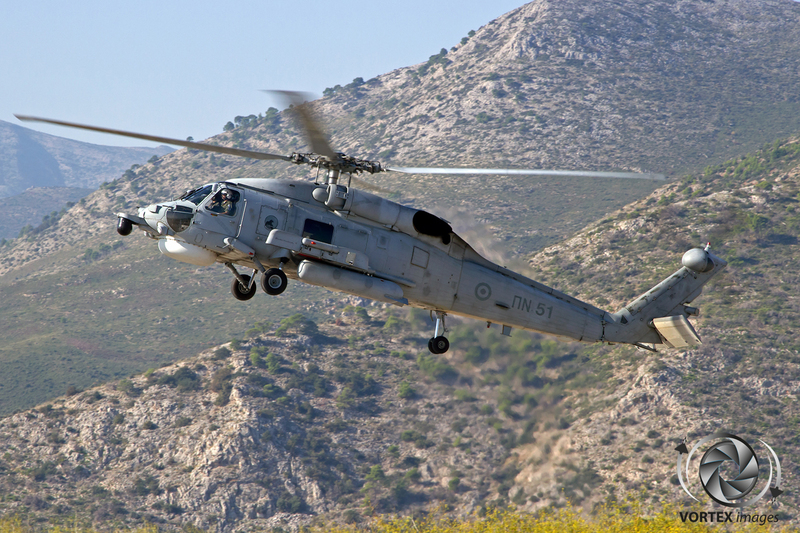 This results in an increase of search and rescue missions for the Aegean Hawk. 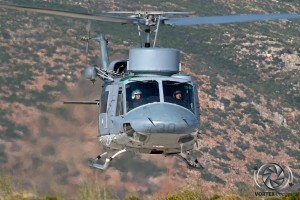 It is hoped that the EU will provide similar support as given to Italy in order to protect the EU border. 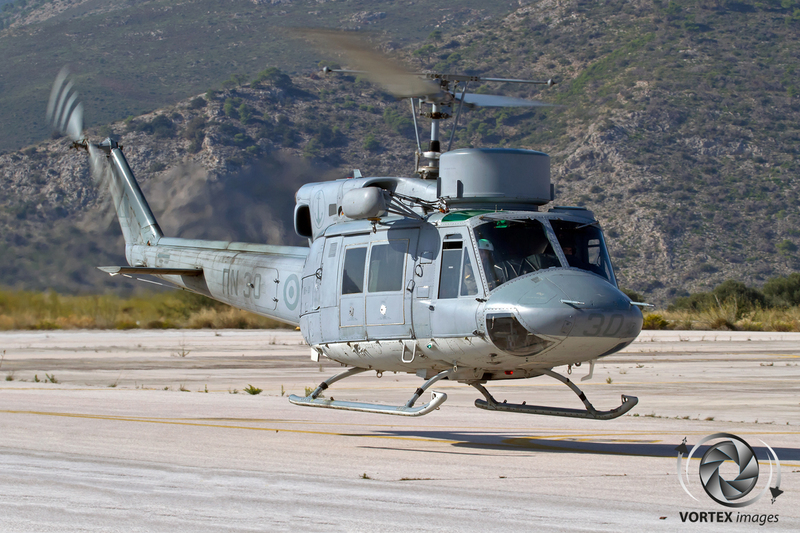 We would like to thank the Hellenic Navy HQ, Hellenic Navy Spokesman, the CO of Kotroni, our guide Lt. George Papadakis and all the Hellenic Navy personnel involved.